What were Mr. and Mrs. Bumblebee doing on Valentine's Day? Do Movie Megatron's impair charges count as a debuff for game purposes? 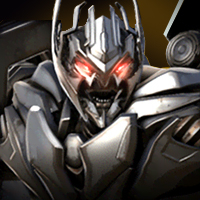 Movie Megatron not receiving an attack bonus from Grindor unstoppable synergy. Grimlock's heavy attack mechanic not working properly? What exactly is a forum ban supposed to do? Support the game and it could become what you hoped it would be. Is it actually possible to sidestep Soundwave's heavy? Prowl's ranged attack stun not mentioned in game. No 4* Versions of Bumblebees. Random Number Generator used to decide which bots to add? Suspected bug with the power gain inhibitor item for arena fights. Do we want more 2 star and 1 star bots released in the game?